سواءً كنت مسافراً بغرض السياحة أو العمل، شقق أشورد ووترسايد هو خيار عظيم للإقامة خلال زيارتك للمدينة. يمكن من هنا للضيوف الاستمتاع بسهولة الوصول إلى كل ما تقدمه هذه المدينة النابضة بالحياة. يشكل هذا الفندق ملاذاَ مريحاً للاسترخاء ويمنح زواره فرصة للاستجمام والتجدد، وهو يقع على بعد خطوات من المعالم السياحية الكثيرة للمدينة. إن شقق أشورد ووترسايد حريص على توفير الراحة للنزلاء، فلا يوفر الموظفون جهداً في تقديم أفضل الخدمات وضمان حسن الاستقبال. يقدم هذا الفندق العديد من الخدمات الكفيلة بإرضاء أكثر الضيوف تطلباً. في شقق أشورد ووترسايد غرف نوم يزيد عددها عن 32 صممت بذوق وعناية لتوفر لك كل وسائل الراحة . بعضها يحتوي أيضاً على تلفزيون بشاشة مسطحة, سياسة التدخين - غرف لغير المدخنين متاحة, مكيف هواء, مكتب, شرفة/ تراس. يقدم الفندق مجموعة واسعة من وسائل الراحة المتنوعة، كمثل: مسار جولف - ضمن 3 كم, حديقة. إن شقق أشورد ووترسايد هو مكان مثالي للمسافرين الذين يتطلعون إلى الراحة والاستجمام في المدينة. مكتب الإستقبال مفتوح من 7:30 AM إلى 6:00 PM خلال أيام الأسبوع و من 8:30 AM إلى 4:00 PM خلال عطلة نهاية الأسبوع. على الضيوف الذين سيصلون خارج هذا التوقيت أن يتواصلوا مباشرة مع العقار قبل وصولهم ليت ترتيب هذا الامر. Stayed for one night with a friend and I was happy with the room for the price paid. The receptionist was friendly and professional and checked us in quickly without hassle. Free parking right outside the room was very convenience. The location is quite close to the freeway with easy access off the freeway. Although the freeway is always busy the room has good sound proofing so this wasn’t an issue. Nice gardens outside and a fully equipped kitchen with a large fridge was excellent. Beds were comfy with ample pillows. Good value for money and would recommend to anyone staying one night or more, as there is everything you need. Fantastic location close to city and freeway but still very quiet. Lovely walk down to the Swan River with plenty of restaurants nearby. Apartment was roomy with everything needed. Bed very comfortable. Nice balconey area to sit out on in the evening over looking the garden area. We spend our first night & last 3D2N here after travel to North & South. The apartment is full and we are being located at 3rd floor. It quite burden to old lady to step up. Also, we need to carry lot thing up & down from ground to 3rd floor. Hi Lee, yes we are a 3 floor walk up, and I'm sorry you didn't realise this when booking. The pictures do display the outside of the building. Please let us know when you return and we can offer a ground floor apartment if available at the time of booking. I hope you saw value in our pricing and location. All the best with your travels. Guest Services. Although the room smelled a little weird, it was everything that we needed for a one night stay. Clean, convenient and comfortable. Had a hot shower, air conditioner, tv, oven, microwave, dishwasher, kettle, iron, washer and dryer. Generally is good. Just the lake view is almost tree view. Quite noisy if windows were open. If close window, fine but I would like fresh air so have to let noise in... It's ok if just for 1 night stay. Bed is perfect, soft and relexed. Excellent score, thank you Weiwei, we look forward to seeing you again! Hi Wai, as we are not a hotel, we do not offer concierge services. You will find most 4+ star hotels in the city offer these services to their rooms. We are an independent serviced apartment complex. Our rooms have the benefit of kitchens, laundries and are more suitable to the self cater market. Overall, we thank you for your high scores, and welcome you and your family back next time you visit Perth. Manager was extremely rude on arrival. Apartment is situated a short walk to mends st jetty where one can tske a ferry across swan river to elizabeth quay jetty. A great pl to catch the sunset and skyline of perth city centre. Apartment is close to perth zoo too. It is a well equipped with everything one needs - fully equipped kitchen (stove, oven, microwave), dishwasher, washer and dryer. Toilet is spacious but shower cubicle can be a bit crammed. Overall it was a pleasant stay and will consider staying again. We are very glad you enjoyed our location and some highlights of what South Perth has to offer. We hope to see you again. 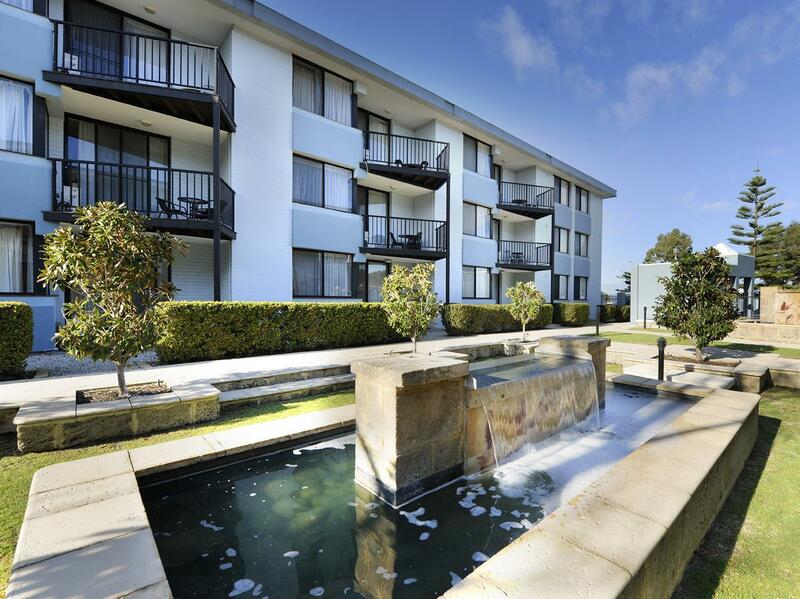 Situated at a very convenient location (five minutes drive to Coles at South Perth or 15 minutes to Perth CBD) . The apartment itself is simple and clean. The kitchen is fully equipped with stove top, oven and microwave . Great for families to prepare meals. Thank You Rie, we are glad you enjoyed our facilities and location. Happy Travelling. The apartment location is great, 6 minutes drive to CBD. Easy to find dining places nearby. Room is cosy and spacious, well-equipped with washer, dryer, and kitchen. Comfortable beds. Value for money. 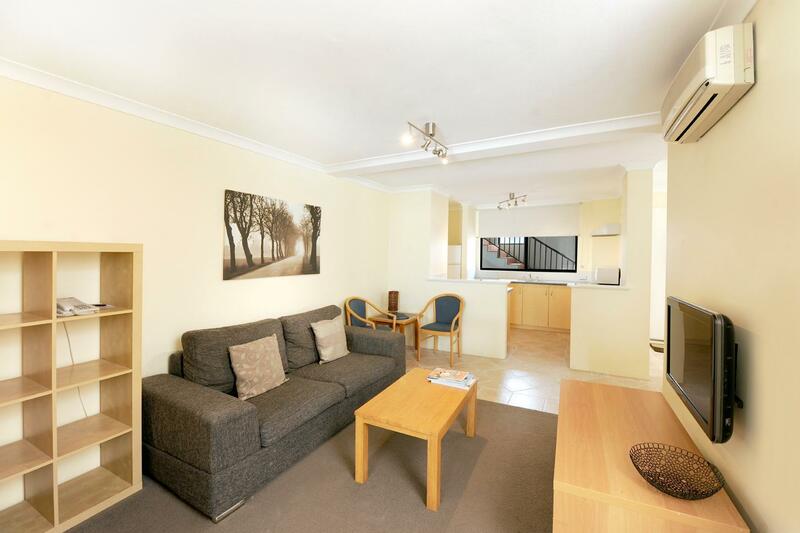 Great Comments TSOEI, glad you enjoyed our self contained apartments, I hope your trip to Perth was good. We will see you next time. Just stayed the one night for a treat with my partner.. It's a one bed apartment opposed to a hotel room so plenty of room with a lounge, kitchen, bedroom and balcony with river views. It's a bit dated but awesome value. Ashtray provided outside which is rare but appreciated if you smoke. Definitely stay there again. Was excellent value for money for the location. Great to find a place that sleeps five people and this was the second time we have been. Everything was neat, clean and tidy, however furniture was a bit worn and there was only a tiny TV. Reception is shorter hours on the weekends which was frustrating. Otherwise a very pleasant stay and we will probably return here again! Great to hear Meagan, our serviced apartments seem to suit your needs- and we look forward to seeing you again in the future. We have stayed here multiple times. All the conveniences are available including a washing machine and dryer. The kitchen floor needs to be cleaned as it is sticky. After the last stay my feedback was the same. 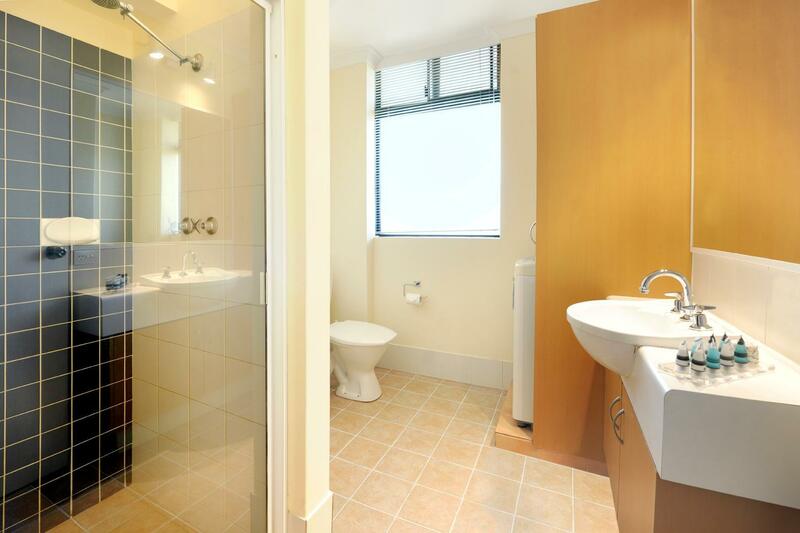 The location is nearby Perth CBD ... Just few minutes from apartment to London Court and Elizabeth Quay. Room is clean and clear. Clear instruction for late check in and friendly staff but I really not agree to hold a bond with amount of 100AUD. I was a little apprehensive about the overall facility and the sound insolation of the apartment after reading from the reviews as this property was our 3rd choice after all the ones that in our 1st and 2nd choices list was taken up. I was wrong (so many of the reviewers were unfair about their comments) as the property fits our needs and requirements perfectly. The staff service was 5 stars as they had fulfilled our requirements for a unit away from the main road facing the highway. The staff placed us at back unit (apartment 206). As we were arriving late after their office hours (they closed at 6pm), they had dropped us an email detailing where to collect the key if we were to arrive after their operating hours. Similarly, as we were checking out before midnight, they had requested that we only drop the key at the security box. Amazing, all thought of to ensure guests have hassle free check in. Despite the building looks a little aged, but the cleanliness of the property and equipment (including cooking utensils, cutleries, oven, cattle, bread-toaster) are dated. One very plus point (which my wife is appreciative of) is the unit comes with washing machine and a dryer; this certainly helps when you are traveling with kids and many days away from home. The unit size is sufficient with sofa, dining table and very comfortable bed for a family of 4. 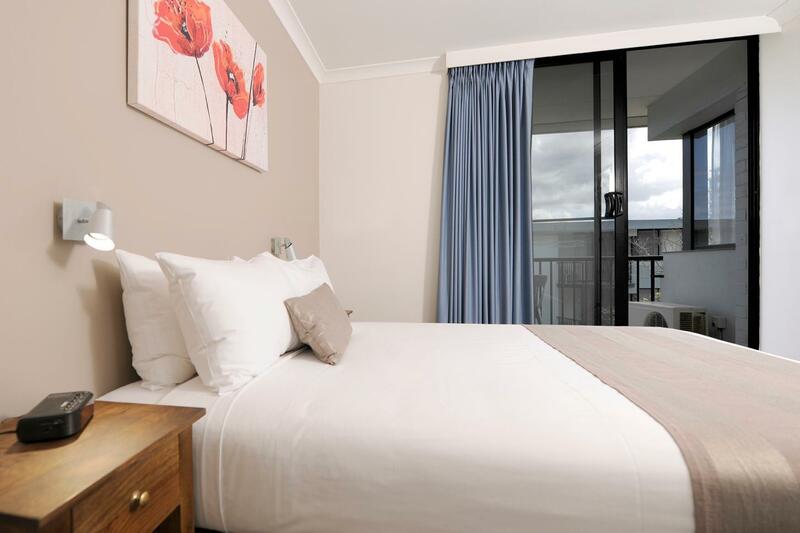 As for the location, it is very ideal as it is rightly located at the boarder of CBD and south-Perth. Be it if you are going North of Perth, South of Perth and Fremantle, it sits centrally. I will certainly go back to this apartment if I am back again, and yes, I would truly recommend everyone to stay there. We just needed a nights rest close to Perth and it was perfect. Clean with all amenities we required and the laundry facilities a bonus. This was my second stay and will definitely be back.